LATE LAST month, I flew down to Davao for a group organized by the chair of the National Historical Commission of the Philippines, Dr. Maris Diokno, for a roundtable discussion on narratives of martial law. The Martial Law Historical Advisory Committee, created by Administrative Order No. 30, had been tasked to collect, evaluate, and preserve documentary and other materials pertaining to the Philippine martial law experience, and this roundtable was an early but vital stage of that process, a thinking-through of basic assumptions and expectations from participants in and scholars of that period. Literature is one way [by which] history, which too often reduces life to dates and events, can animate life so that man is returned to the center of human existence. It is man, after all, not nations, who feels the hunger caused by economic recessions and market fluctuations, who suffers separations and dislocations from social upheavals, who catches the bullets and bombs of war. It is in man’s flesh and bones that the events of history are etched. Individuals die, while their country goes on. It is in literature that generations of images representing man are preserved. It is in literature that we can recover again and again the promise of our resurrection. It is the house of our flesh in which we can refresh, restore and reincarnate ourselves. I’m beginning with this quotation because I’d like to suggest that, in some ways, the best way to remind Filipinos and to make sense of what happened to them under martial law is through fiction rather than factual narrative, because fiction requires and creates a wholeness of human experience. Young Filipinos, especially, need to see martial law as a story—a continuing story with consequences reaching into their generation and even the next. Considering that the Marcos era lasted more than 20 years—from his first election in 1965 to his forced departure in 1986—it’s a bit surprising that not too many Filipino novels have been written about Marcos and martial law. (I should immediately qualify this statement by saying that, actually, not too many Filipino novels have been written, period. As a literary form, the novel—whether in English or Filipino—has never been our strong suit, unlike the Indians and the Chinese.) You would expect that martial law, in particular, would have left a thick scar or welt on our literary consciousness and imagination, in the same way that many survivors of martial-law prison were plagued by intense, recurring nightmares long after their incarceration. In fact, however, we have barely dealt with it in our literature, and if our children today know little if anything at all about martial law, it is because we have not written enough about it, and have left the little that we have written out of the curriculum. Understandably perhaps, it takes time, will, and bit of distance to process—with the benefit of hindsight and a freer imagination—a traumatic experience like martial law. In my case, it took nearly 20 years after my imprisonment to try and make sense of it in a novel. I’m not even sure, at the end of things, if I succeeded. But it’s important in any case to make the effort—for our creative writers to inscribe their own history of our political and social experience—because the writerly imagination is a powerfully intuitive tool for sense-making. Creative writing is integrative, rather than analytical; it puts things together, rather than taking them apart, as scholarship and criticism tend to do. Today, I’ll focus on how three novels—I’m immodestly including mine—have represented our martial law experience in its various aspects. At least one of these three novels—two in English and one in Filipino—would be how our students today encounter, if at all, martial law and its causes and effects. The novels I am referring to are Dekada ’70 by Lualhati Bautista, first published in 1988; Bamboo in the Wind by Azucena Grajo Uranza (1990); and Killing Time in a Warm Place by myself (1992). What the three novels share most strongly is a narrative of how martial law came about and what its immediate effects were. Of the three, Dekada ’70 offers the broadest sweep of things, covering the whole decade as it follows the individual paths that the members of the Bartolome family take. It is also the most unabashedly didactic, presenting long and detailed expositions of the political situation obtaining at that time, an approach that literary aesthetes might find too direct but which, when you think of it, is probably the only explanation young readers will have of an episode that to them might as well be ancient history. All three novels are basically grounded in the specific experience of the middle class, taking note of its bright-eyed idealism and yet also its vulnerability to vacillation and co-optation. In this respect, Bamboo in the Wind attempts to cover the broadest ground, reaching across the social spectrum to present the plight of peasants under feudal tenancy as well as to display the clannishness of the elite. It ends just after the declaration of martial law, on the portentous note that “It was going to be a long night,” as indeed martial law would be, for the next decade. 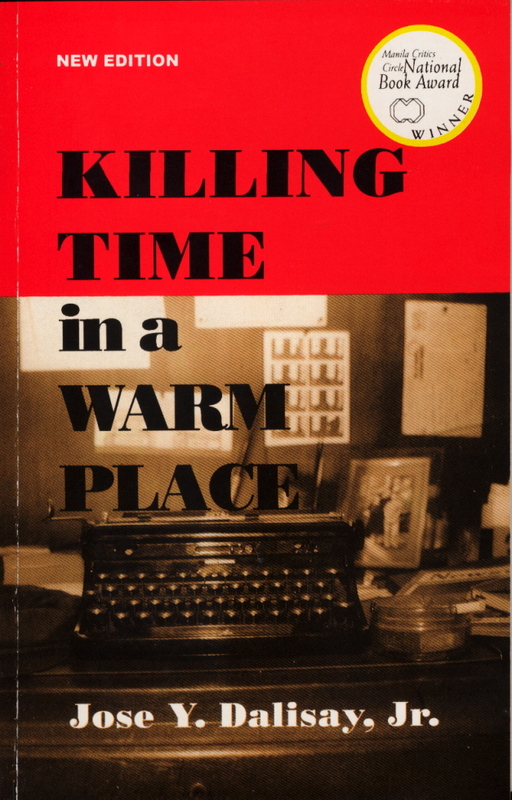 My semi-autobiographical first novel Killing Time in a Warm Place is focused on the person and the growth of its narrator, Noel Bulaong, who has provincial roots but grows up in Manila, studies in UP, becomes an activist, is imprisoned under martial law, and then, upon his release, joins the government service as a propagandist no less; faithless, loveless, and friendless, he leaves for the United States to study and live there, coming home only for the death of his father, where the novel begins. Of the three novels, it is the most personal, although Dekada ’70 can also be read as Amanda’s story, the making of a feminist in the crucible of political and personal turmoil. To my mind, the most important contribution these three novels make to the discourse on martial law is not even and not only their depiction of the horrors and excesses of martial law—the obligatory scenes, you might say, the arrests, the tortures, the rapes, the thievery, the brute exercise of State power over the people. It is their exploration of the element of collusion and complicity—of how we, in a sense, allowed ourselves to be ruled by a regime that promised peace and progress for the price of a little national discipline. In Dekada ’70, Julian Bartolome Sr. gives the regime every benefit of the doubt, convincing himself of the government’s good intentions, despite Julian Jr.’s deepening involvement in the Left. In Killing Time, Noel Bulaong does a 180-degree turn and joins the dark side—an acrobatic maneuver that many former activists, including me myself, performed, caught in a bipolar world. Having left the Left, it seemed that one had little choice but to cast one’s lot with the Right, and it’s no surprise that many ex-activists became the sharpest thinkers and most active doers of Marcos, Cory Aquino, Ramos, Estrada, and Arroyo. Bamboo in the Wind delves into how martial law benefited the elite, especially those factions that sided with the regime, and how it sought to corrupt intellectuals with progressive inclinations. In other ways, these novels speak of guilt and redemption, of how we are defined by family and class, of abject betrayal and astounding heroism. These novels are far from perfect, and we can argue all day about what they failed to say and how they may have misrepresented this and that. But writing and promoting works of fiction like them may yet be the best way we can remind our people, especially this “selfie” generation, of the fact of martial law in the Philippines, and of its continuing legacy. This entry was posted in Art & Culture, Pinoys, Politics, Writing and tagged Marcos, martial law, Novel, Philippines by penmanila. Bookmark the permalink.